People with multiple sclerosis (MS) are being denied access to life-changing treatments simply because of where they live, according to the MS Society. The charity says it is aware of many instances of a “postcode lottery effect” where hospitals have refused or restricted access to treatments to contain costs. This is in spite of the fact the treatments have been approved by the Health Service Executive (HSE) and the patients should be eligible for them. “There is huge frustration among people with MS about access to treatments which could greatly improve their quality of life as well as improving their productivity in society,” said MS Society chief executive Ava Battles. The society has produced a handbook for its 8,000 members, which offers a “nine-step plan on how to ‘get loud’” when campaigning for their rights. Where patients are refused access to drugs recommended by their neurologist, they are advised to make a complaint to hospital management in the first instance, and then to the HSE or Department of Health. Its assessment is supported by neurologist Dr Orla Hardiman, who says the problem arises because some treatments are funded from hospital budgets rather than from central HSE funds. These budgets are not ring-fenced and some hospitals have applied spending caps more vigorously than others. There is no cure for MS but, in recent years, a number of disease-modifying treatments have been developed which interact with the immune system to calm the underlying inflammation that causes the disease. This can result in a reduction in relapse rates, reduced hospitalisations and a slowing of the progression of disability. The booklet highlights the case of Natalie Brennan, who was told last year by her consultant that Lemtrada may be a suitable treatment for her MS. However, she was informed she could not access the treatment at her hospital because the quota for dispensing the drug had already been reached. Aged 25 and living alone, she maintained it was vital she received medicine that would help her retain her independence by managing her MS.
Ms Brennan contacted local TDs and pointed out it would cost the HSE more in the long term if she was not provided with the treatment. Earlier this year, the HSE wrote to her saying the hospital now had approval to prescribe Lemtrada to her. Two other case studies highlight women campaigning for access to Fampyra, a new drug that helps treat walking impairment in adults with MS.
Fampyra has been rejected once for reimbursement under HSE drug schemes, forcing users to meet the €200-€400 monthly cost of buying it themselves if they want to continue to avail of the benefits it provides. The HSE has been considering a second application by the manufacturer for approval for over a year, and agreement on reimbursement is said to be near. Another MS treatment, Sativex, an oral spray containing extracts from the leaf and flower of the cannabis plant, was cleared for use last year. However, price negotiations with the manufacturer have yet to be completed. 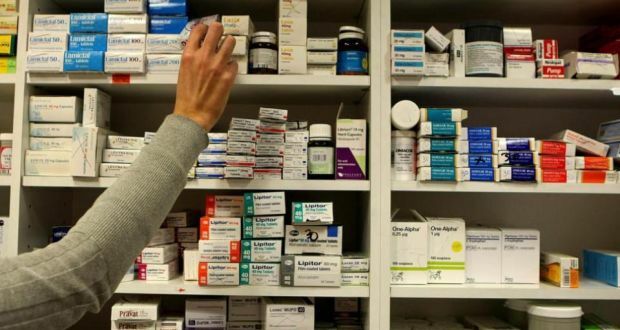 But the drug, which would cost patients up to €500 a month, still cannot be bought or sold in Ireland because the Department of Health and the drug’s Irish distributor have not yet agreed on a price. The estimated cost to the State is between €4,500 and €5,000 for every MS patient.